We work with established, export ready, companies to help them sell their U.S. made (must have 51% U.S. content) goods and services to foreign markets. Please contact us by phone or email for more information. MEETINGS BY APPOINTMENT ONLY. 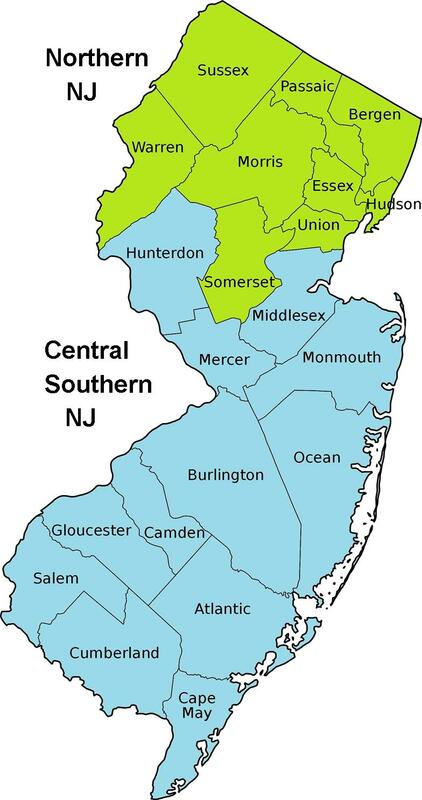 There are two offices located in NJ: Northern NJ and Central-Southern NJ. Please refer to the colored map below to determine what office your company should contact.